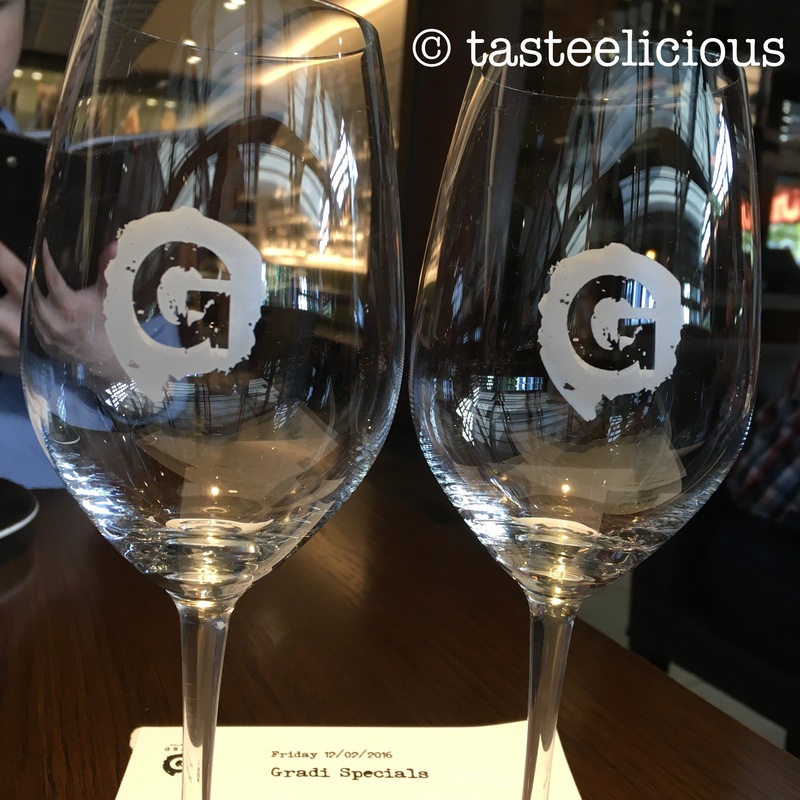 Sitting at Melbourne’s crown casino lies Gradi, I walk pass it all the time, and they seemed to have a small entrance, but once you enter into the restaurant, the dining space is huge!!! The cuisine is mainly italian, but I find it Italian fused with Modern Australian. Service was very welcoming we were seated at the booth area close to natural sunlight from the south gate walk. Although served by various waitress, all were able to attend to our needs quite timely. I ordered the Sour flavour of Mocktails in the drinks menu… and this had Passionfruit seeds, pineapple and lemon was what I could taste… Enjoyed it. Would recommend to try this. Prefer less passionfruit seeds personally… or crushed up as it got a bit hard to drink near the end. 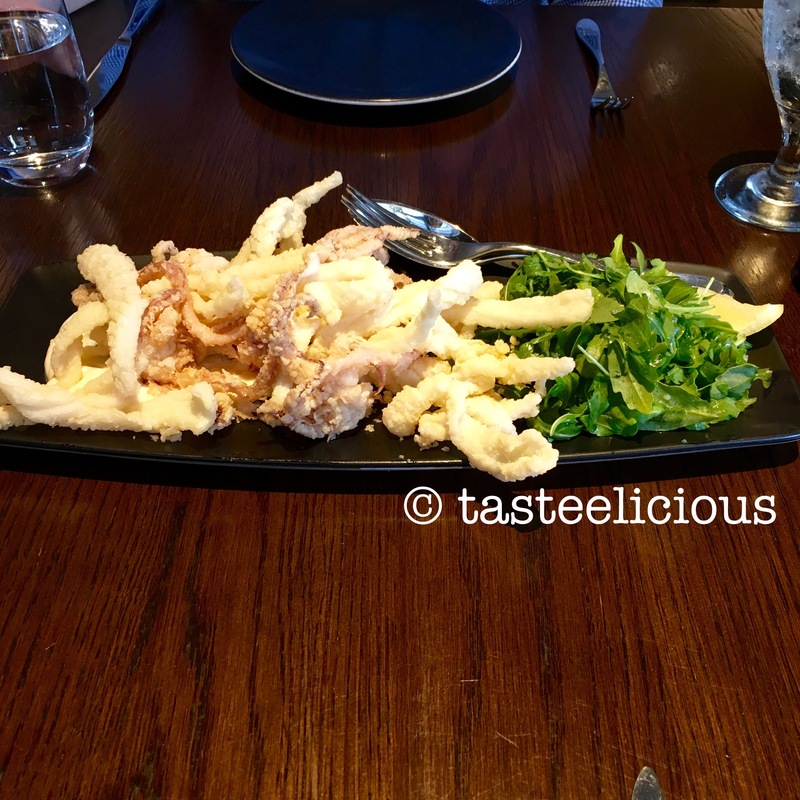 Now for food… we started off with Calamari Fritti & rocket salad. Simple? but very well made… the batter was light and crispy. Underneath the calamari hid the mayonnaise. What a nice surprise, it’s not your classes mayo, but whatever is in the mayo – I couldn’t get enough of it! The only flaw was I wish there was more!! 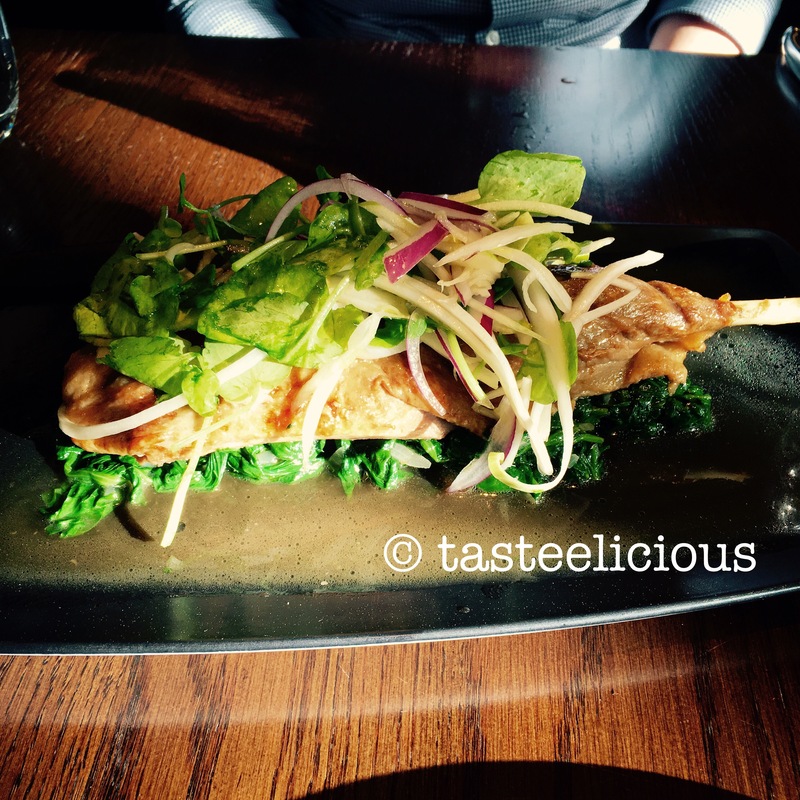 Rocket was fresh – not the overly bitter/peppery ones you’d get in some places. Beef Cheeks with sauerkraut was the main on special the night I visited. Unfortunately, this didn’t play up to the entree. It was too salty for my liking. And even with the sauerkraut, you would think it would balance our the flavours, but the saltiness was too heavy-handed. 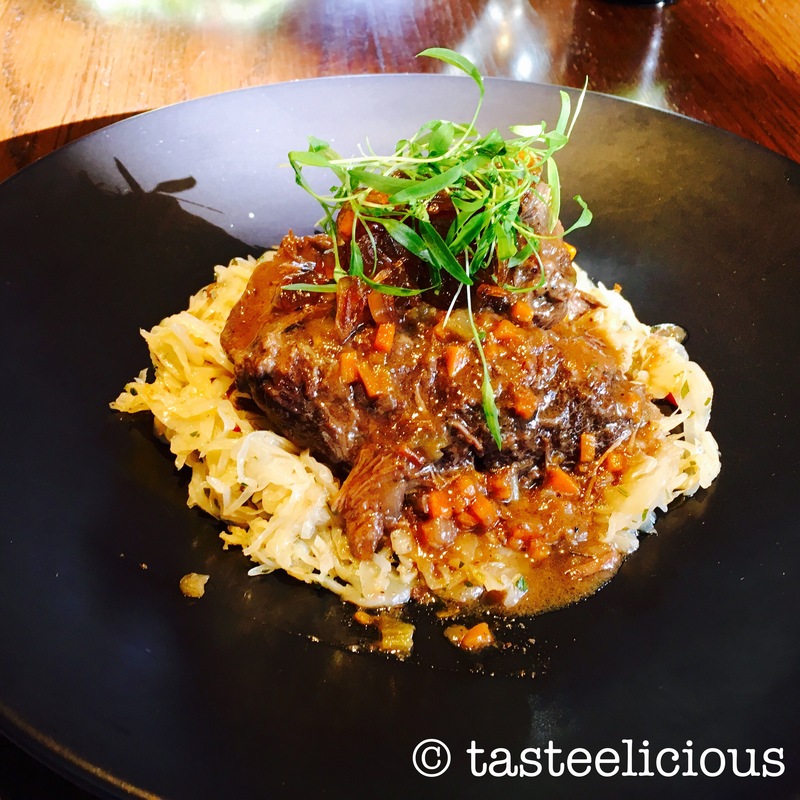 The beef cheeks itself was cooked nicely – soft and pulled-apart. Wasn’t able to try their dessert after the two meals. Their dessert menu looks very appealing so will definitely try them the next time I visit Gradi! Overall I’d recommend Gradi, esp for a large group gathering whether it be work function or family gatherings. That night had several large groups and service was still at it’s tops.